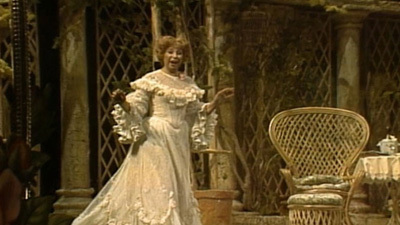 America’s operatic sweetheart Beverly Sills is the feisty Norina in Donizetti’s classic comedy, opposite the great Alfredo Kraus as Ernesto, the man she loves. His miserly old uncle, Don Pasquale (the marvelous Gabriel Bacquier) has cut Ernesto out of his will for wanting to marry Norina—and announces his intention to take a wife himself. But the clever Doctor Malatesta (an energetic Håkan Hagegård) comes up with a plan and all ends well, with Pasquale giving his blessing to the two young lovers. Nicola Rescigno is the conductor of this effervescent performance.